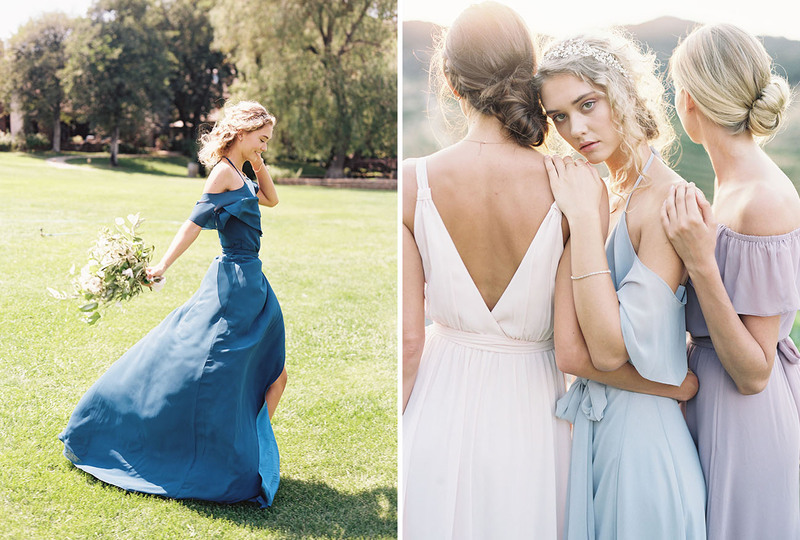 Blending bohemian ease with timeless sophistication, these Joanna August bridesmaid dresses are seriously PRETTY. And by pretty, we mean dresses that you will find a way to wear time and time again. 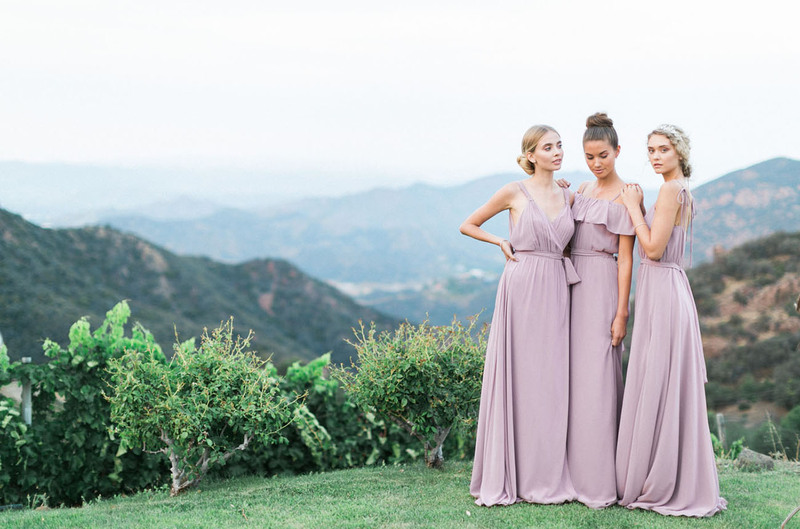 Joanna August strives to create chic, fashion forward + modern bridesmaid dresses for the style conscious bride and her friends. We here at GWS are pretty keen on the way they mix and match colors, styles + hem lengths! The latest collection for Winter 2016/17 is titled “The New Romantic” and we’ve got to say… It’s pretty darn romantic! Inspired by elements of ’90s fashion such as dark lipsticks, tiaras + black velvet chokers – these pieces are not translated literally into the collection but influenced the mood of the design. 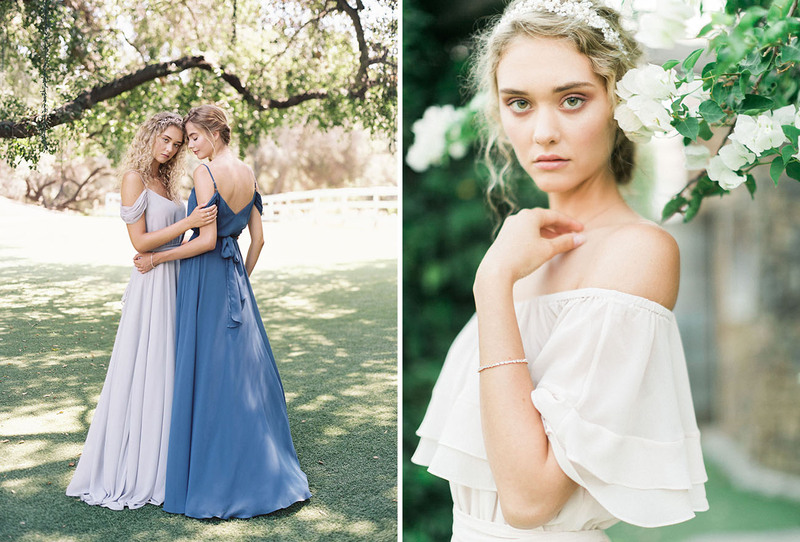 Combined with the Joanna August’s signature ethereal style, several new styles emerged that highlight the shoulders, along with ones that have full circle skirts. 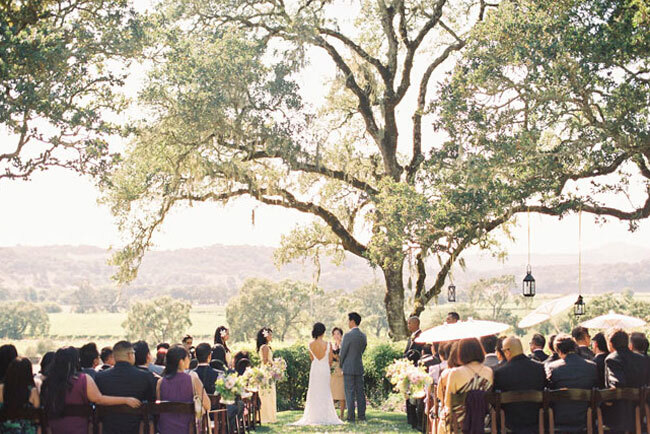 A mix of both light + dark… Are you ready to step into this dreamy scene at Saddlerock Ranch, photographed by Caroline Tran? Let’s look! Off-the-shoulder, bare shoulder, cold shoulder… You name it, we LOVE it. 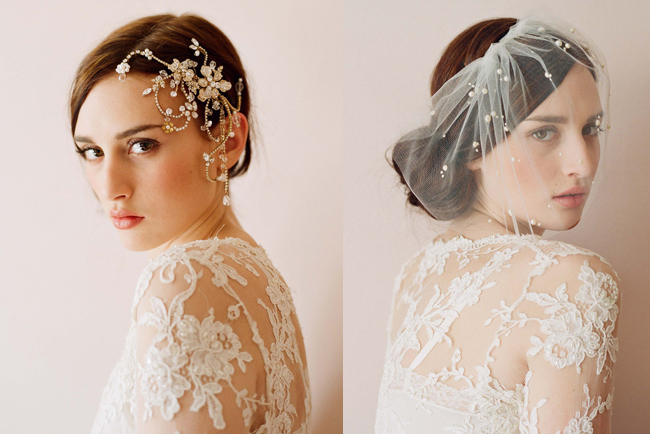 That gorgeous hair accessory (seen right) is by Twigs & Honey. And that darling V back on the blue dress!! Simple + sweet, we love how effortlessly chic this dress is and that it could pair well with anything! We’d be twirling all day long if we were wearing this gown!! 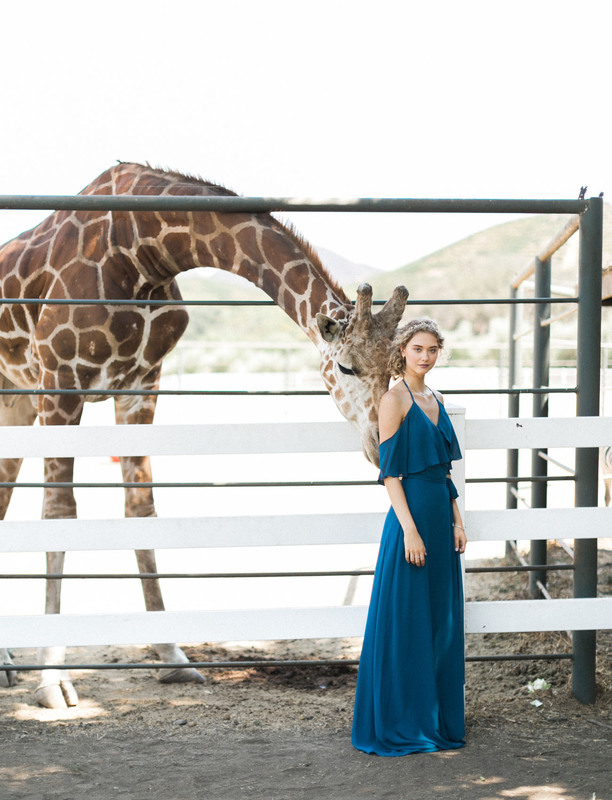 Almost like a cerulean blue… We can’t get enough of this hue! The best part about these dresses? How flattering they are on every figure!! That golden hour light + all the pretty pastels! Stylist Jamie Catino did an amazing job – don’t you think? So we can’t seem to pick a favorite… Because we LOVE them all! Are you in the same boat as us? Let us know which Joanna August dress is your fave in the comments below! This post is sponsored by Joanna August. Thanks for supporting our sponsors! Do we know what colors these are? I love the light purple and light blue dresses!